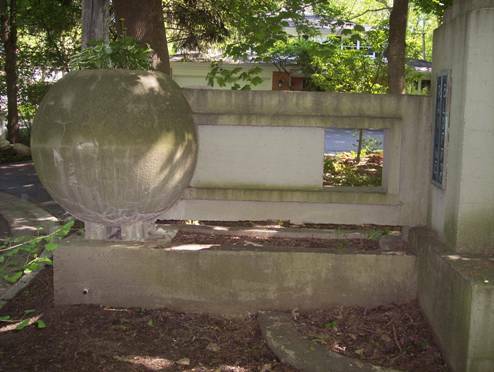 Photographed on May 10, 2012. 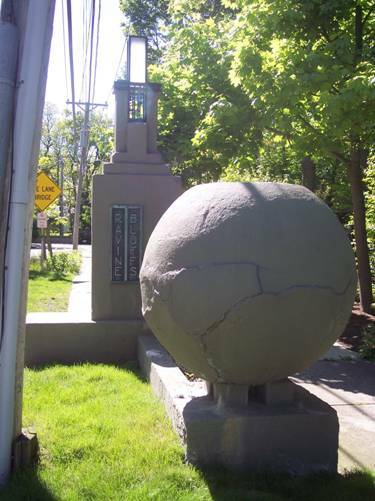 The subdivision is anchored on three corners by large sculptures, which Prof. Storrer has numbered as S.185.1, S.185.2, and S.185.3 (shown here). 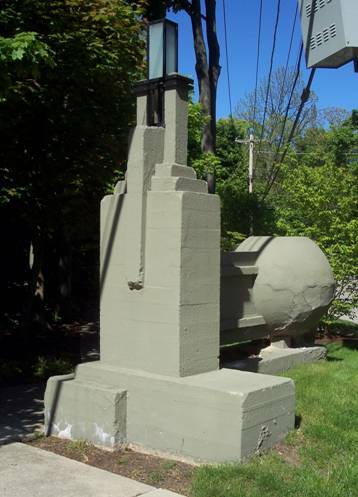 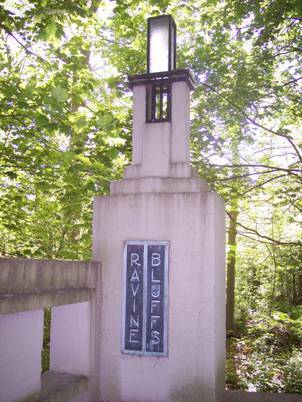 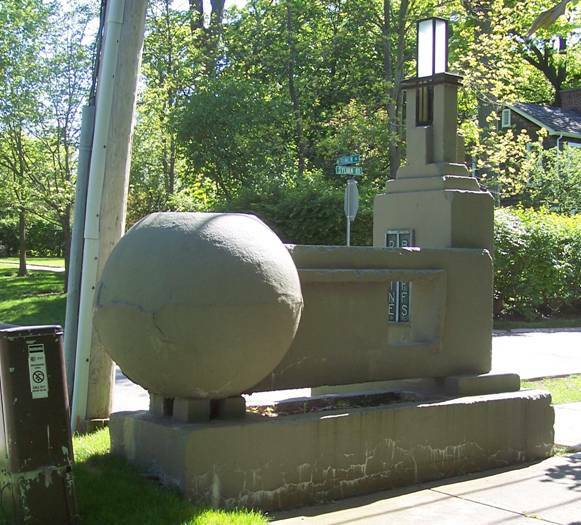 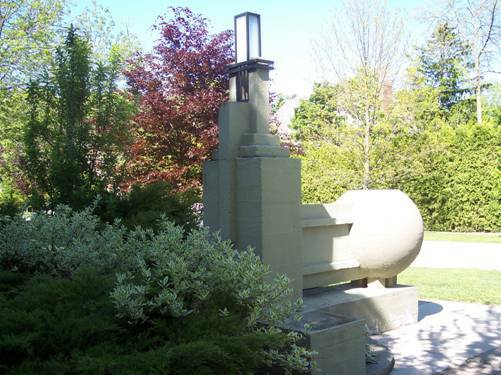 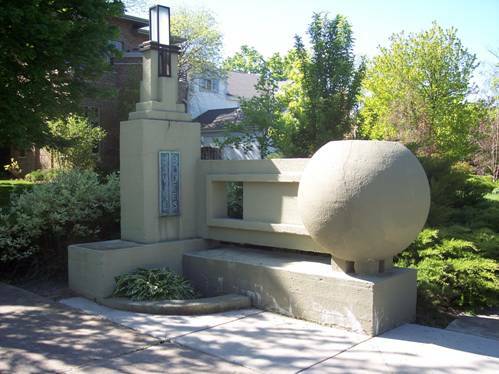 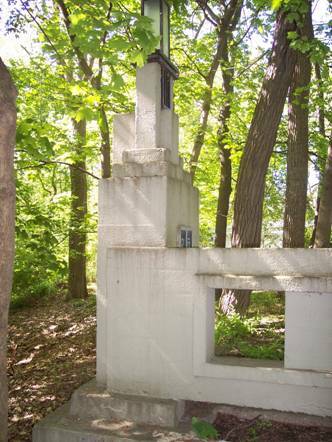 The sculpture at the cul-de-sac (S.185.1) is in a partially wooded area by 277 Sylvan Road, and is the only original left. 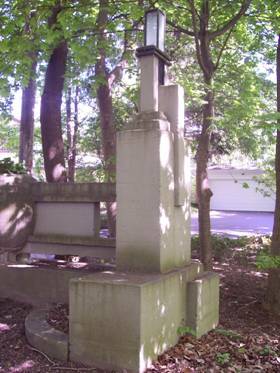 The other two have been rebuilt. 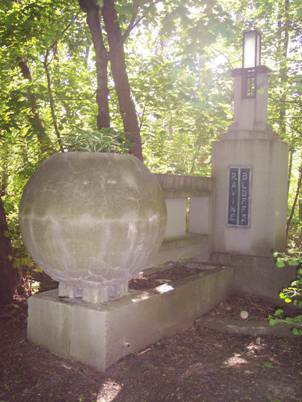 There is also a bridge designed by Wright (S.186).